As some of you know, I have also registered for the TFL Game Ready Campaign, a non-competition to see how many miniatures members of the mailing list get ready this year. 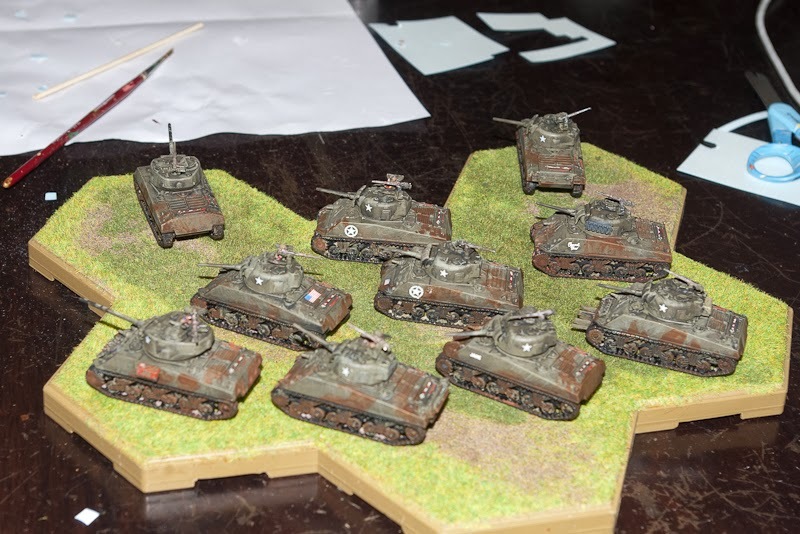 My first submission is below, 10 PSC Shermans, 2 76mm and 8 75mm. Partly painted last year, but finished and decaled this year. 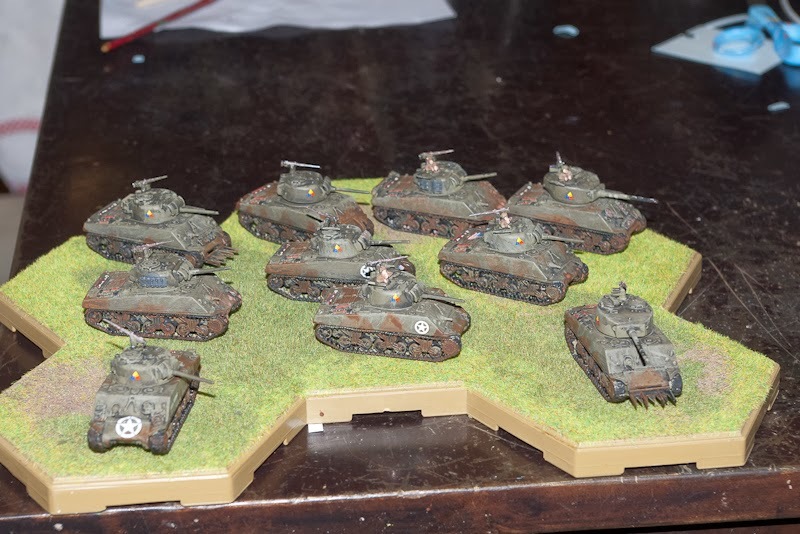 (And I must say that while decaling was not fun this time, either, decal medium to soften them up worked wonders. But please note that it also makes some paints run even after thorough drying.) I wanted to try my hand at weathering, remembering how the tanks and IFVs looked after few days of muddy training during the conscript period - it looks like too much, but in reality one probably should not see any green from below the mud.. Also, it looks more like hastily applied camo than mud, which is not good. Those look great. The non-comp has been a great motivator for me as well. I just hope it translates to more games actually played. Thanks! At least for me the non-competition means more available troops, thus more potential games. It was a great idea.